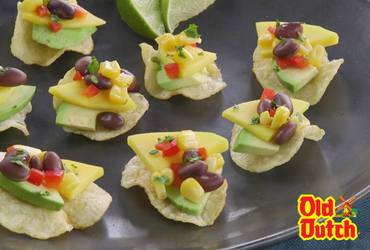 An easy snack for those breezy summer days! Try these Old Dutch Cali Bites and see for yourself. Top Old Dutch chips with avocados and mangos. Spoon salsa on top, sprinkle with cilantro, and enjoy these healthy bite-sized Old Dutch snacks!